Salona Cotspin Ltd lost 17.49% to Rs 60.15 at 14:31 IST.The stock was the biggest loser in the BSE's 'B' group.On the BSE, 50 shares were traded on the counter so far as against the average daily volumes of 881 shares in the past one month. Magnum Ventures Ltd crashed 14.39% to Rs 4.7. The stock was the second biggest loser in 'B' group.On the BSE, 3010 shares were traded on the counter so far as against the average daily volumes of 3501 shares in the past one month. Times Guaranty Ltd tumbled 13.49% to Rs 26.3. The stock was the third biggest loser in 'B' group.On the BSE, 150 shares were traded on the counter so far as against the average daily volumes of 165 shares in the past one month.  P B A Infrastructure Ltd corrected 9.94% to Rs 4.89. The stock was the fourth biggest loser in 'B' group.On the BSE, 200 shares were traded on the counter so far as against the average daily volumes of 328 shares in the past one month. Manaksia Ltd fell 9.55% to Rs 36.45. The stock was the fifth biggest loser in 'B' group.On the BSE, 2406 shares were traded on the counter so far as against the average daily volumes of 5446 shares in the past one month.